Malcolm Brabant seems to have been around forever, his mellifluous voice always coming through loud and clear on the BBC radio news, reporting from one crisis zone or another. When I lived in South Africa during the 1990s, I followed the unfolding horrors of the Bosnian War through the BBC World Service. And Malcolm. Sarajevo was where he made his name as a war reporter. He readily admits that he wasn’t the bravest – which perhaps goes hand in hand with not being the stupidest – but that didn’t detract from his work. Even a journalist who isn’t very brave is still quite brave when it comes to reporting from a conflict zone. It is thanks to these two qualities, bravery and clarity, that Malcolm not only survived a test almost as dangerous as a sniper’s bullet but in Malcolm is a Little Unwell, he has also been able to document in considerable detail the ordeal he went through. What could be as dangerous as a sniper’s bullet? In Brabant’s case it was an injection, a jab for yellow fever which he believes triggered a rapid descent into insanity which led him to attempt suicide and came within a whisker of destroying his family and his career. And descent is the right word here because Brabant’s travails are not so far off taking the fast lift through Dante’s nine circles of hell into the inferno itself. 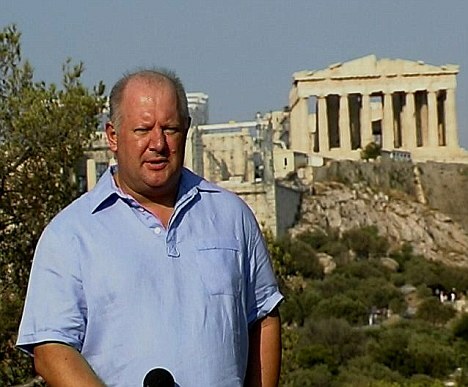 The problem started while Brabant was BBC correspondent in Athens (where we would occasionally meet at the British Ambassador’s residence, drain Her Majesty’s cellar and share ribald, unprintable tales about our colleagues). On April 15, 2011 he went to get a jab for yellow fever that he needed to travel to Ivory Coast to shoot a couple of films for UNICEF. One of the side effects is that you may feel a bit fluey for a couple of days. For Brabant it was a couple of years. He quickly slipped into a state of acute madness and was removed to a hospital in Athens where he began to think he was Jesus, that guardian angels (the spirits of dead colleagues) were talking to him; then that he was Joseph and that his young son Lukas was Jesus. Then he dropped that (momentarily) to become Winston Churchill. These passages are written in a harrowing no-holds barred method. Brabant’s redoubtable wife Trine Villeman is also a journalist and the two of them seem to have recorded every step of this particularly unpleasant journey. Much of it is grim but it is impossible not to laugh at certain passages, notably Trine’s description of his metamorphosis into Churchill while he was at a hospital in Athens. Brabant and Trine track the brain-frying illness and its effects. Losing any hope of work with the BBC – a major crisis for any freelance especially for one who has been closely tied to the corporation for 20 years – cut the family income. 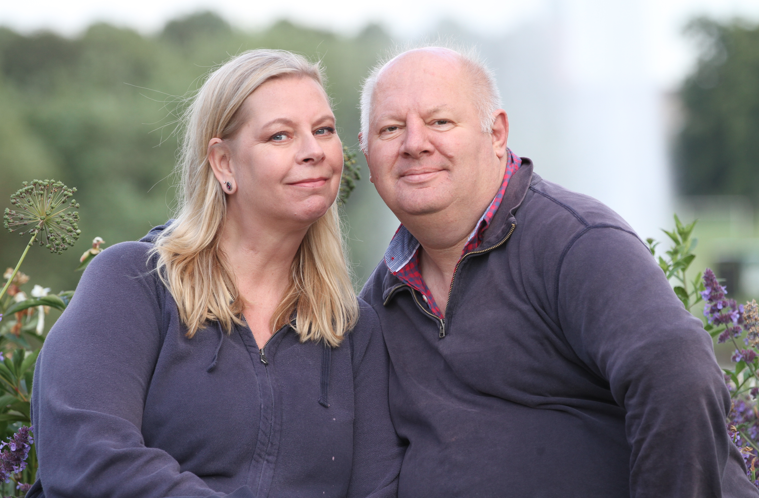 Brabant travelled back to his native Ipswich in the hope of finding better NHS treatment in Britain; they sold up their belongings and quit the family home in Greece, moving into a small flat in Trine’s native Copenhagen. There he went to the other end of the divine spectrum, believing himself to be the devil and then pregnant with the devil’s spawn. And there it was, alone in his room in the psychiatric ward, in the early hours of New Year’s Day 2012 that he tried to hang himself with his belt attached to the frame of his bed. It makes for a disturbing read. Brabant comes through as the confused victim of this chemical reaction, Trine as the saviour. In many ways, this book is a love letter to his wife. The good news is that Malcolm is Feeling a Bit Better these days. He came off medication completely in January 2014 – 21 months after the jab. The family has moved to a better flat in Copenhagen and he has begun working again for BBC radio. It may not be all roses in the garden but there is hope especially as Trine’s books about the Danish royal family have been selling well and garnering plenty of attention. On the downside is the fact that Sanofi Pasteur, the manufacturers of the yellow fever jab, have dead-batted any suggestion that Brabant’s illness was in any way caused by their product. Having won one battle, though, for Malcolm’s sanity, the Brabants are not prepared to give up on the next one. It’s been a bit quiet here recently, but please don’t think for one second that we have given up. Because we haven’t. And we won’t. In other words: Malcolm Brabant was a perfectly healthy human being until he had Sanofi Pasteur’s yellow fever vaccine. Despite admitting in May 2013 that there are other cases of mental illness related to its yellow fever vaccine, Sanofi Pasteur insists there is no link between Malcolm Brabant’s psychosis and the yellow fever vaccine. But we will not give up our fight until they do admit liability for the devastating injury Malcolm Brabant suffered. 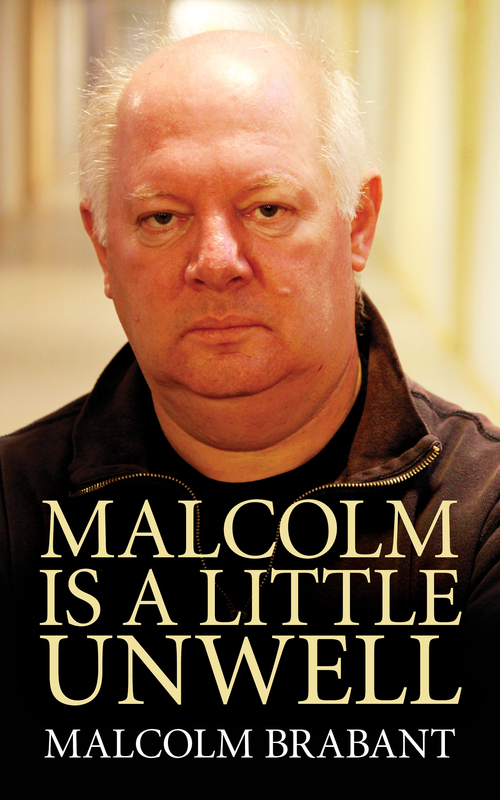 Malcolm is a Little Unwell is an extraordinary, moving journey into madness, one that could happen to any one of us. Perhaps one day there will be a documentary but for now you are just going to have to read the book.